Chadleigh Ownhouse, 17, who has been a beneficiary of United Through Sport’s Senior School of Excellence Programme for the past five years, was announced on Friday, January 4 as the Top Matric Learner in Nelson Mandela Bay, with distinctions in seven subjects – including English (86%), Afrikaans (95%), Maths (88%), Life Orientation (95%), History (94%), Life Sciences (95%), and Physical Sciences (93%). An excited Chadleigh had a total of seven bursaries to choose from, following the announcement of his final year of high school’s matric results. Spoilt for choice, Chadleigh decided on studying Medicine at the University of Cape Town in 2019. “I am very happy to not worry about my finances for the year anymore. I am actually ready for university now, and can’t wait to start,” said Chadleigh, who was so used to waking up early to study that he has kept up his routine in the school holidays. Chadleigh crowned his high school career in 2018 with the achievement of being announced Alexander Road High School’s Dux learner at the school’s awards ceremony. In 2018 he was a co-winner in the Senior Maths Relay League in 2018, and his team participated in the Nelson Mandela University’s Rocket-building Competition where they won first prize. Chadleigh is one of ten beneficiaries from United Through Sport’s Senior School of Excellence Programme who have all achieved their 2018 National Senior Certificates. Partner schools in Nelson Mandela Bay, South Africa, where the beneficiaries matriculated include Alexander Road High School (2 learners), Pearson High School (3 learners), and Victoria Park High School (5 learners). The United Through Sport Senior School of Excellence (SSE) Programme, which is based in Nelson Mandela Bay, is focussed on providing talented and determined children with a top-level academic education for a full five years – with the final aim of further supporting them through tertiary studies. 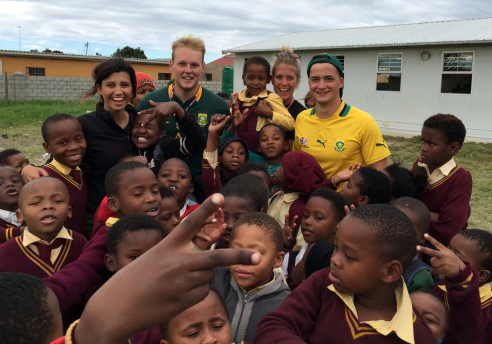 Chadleigh’s talents were noticed by United Through Sport Director Nick Mould when he was still in primary school at Astra Primary School in Bethelsdorp. Mould said all the SSE graduates are expected to pursue tertiary studies, many being the first in their families to do so. “Compared to the national average, we are very pleased with our 100% pass rate and would like to wish all our beneficiaries well with their future endeavours. We are exceptionally proud of Chadleigh who is testament that hard work and dedication can open many doors for you,” said Mould. Chadleigh is the second United Through Sport beneficiary who has gone through the Senior School of Excellence programme, to study Medicine. 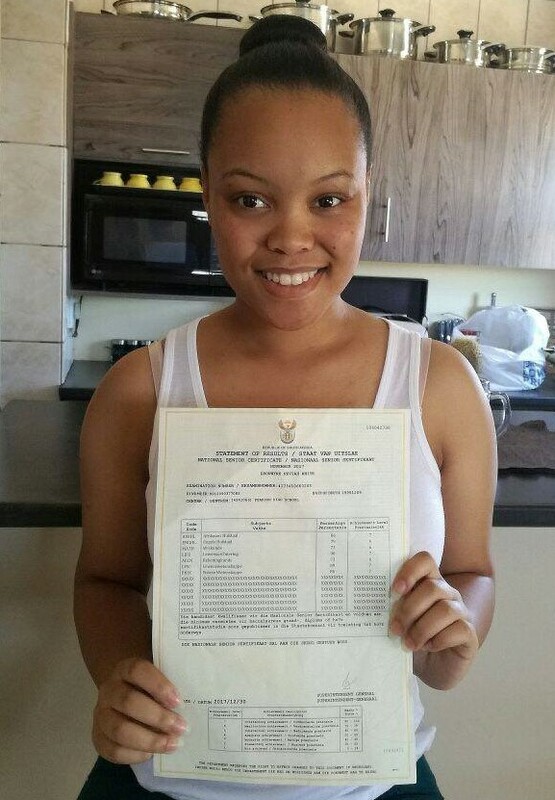 Bronwyn White, who achieved her final year 2017 National Senior Certificate with four distinctions, is studying Medicine at Free State University. UNITED Through Sport graduate Adrian Pretorius had a ball photographing a sports tournament in Zwide recently. On an assignment for Amsterdam University of Applied Sciences, he was tasked to photograph the tournament that was organised by two Dutch volunteer coaches from the university who is working at United Through Sport in Nelson Mandela Bay as part of their Sport Studies internship. Adrian, 18, matriculated from Victoria Park High School in 2017 – the same year that he received his own camera from his older brothers, twins Ashwell and Ashwin, who run Ashtwinz Photography. Adrian, who is the youngest sibling in his family, has been working for his brothers as photographer and assistant photographer throughout his high school career. “I enjoy photography very much, as you get to meet and talk to new people all the time,”. Currently working as photographer and studying to improve his Admission Point Score (APS) for university, Adrian was very excited to get the sports tournament assignment through a recommendation from United Through Sport Director Nick Mould. 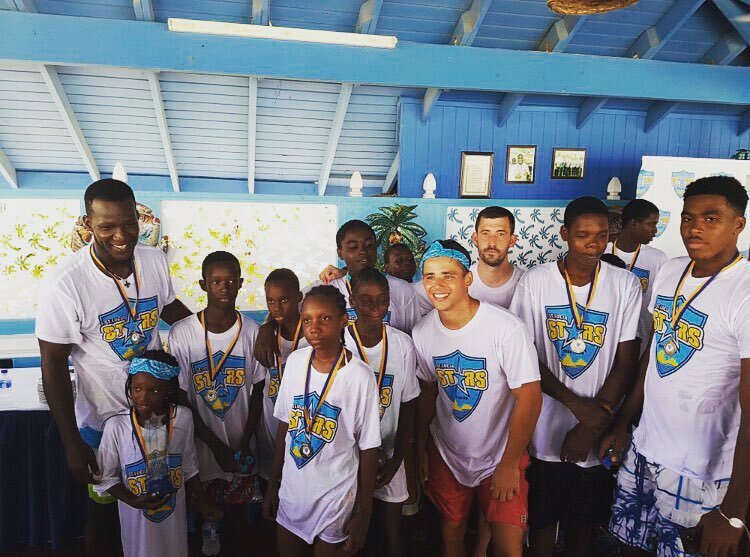 “I loved working with the children, photographing them and seeing their interaction with the volunteers and coaches during the tournament. 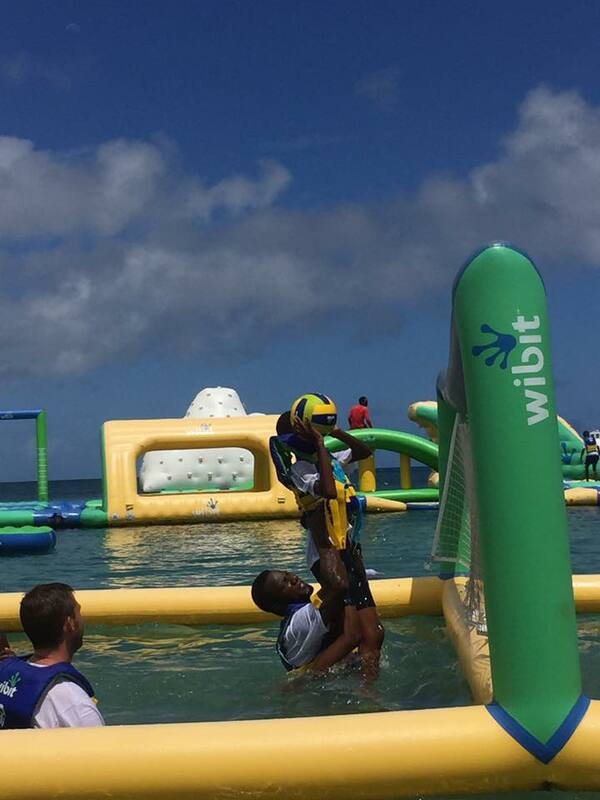 Sport is the best way to stay healthy and fit,” said Adrian. Joira Vieira, one of the Dutch volunteers that Adrian photographed, said he was very professional on the day of the holiday camp, and that everyone loved the photographs he took. Adrian, who went to Astra Primary School, currently plays Premier League club hockey and was in the first hockey team at Victoria Park High School for two years in a row. While he admitted that he only started to play hockey in high school to “meet girls”, he soon fell in the love with the sport. 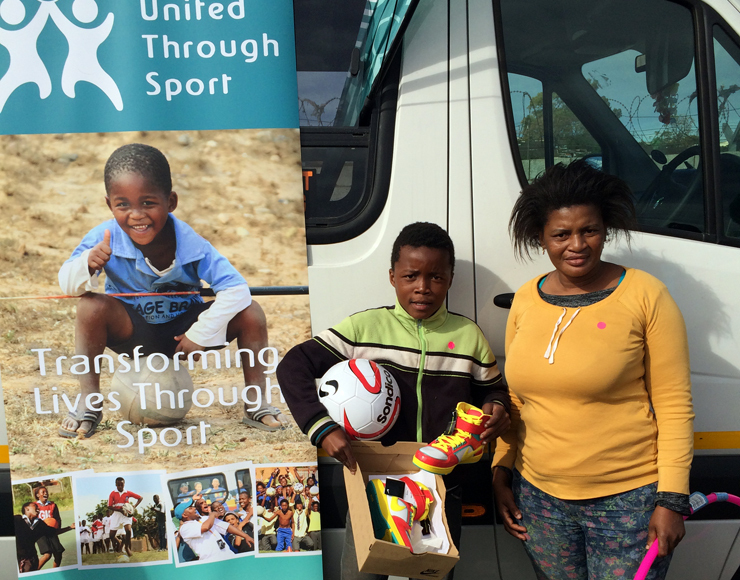 United Through Sport regularly engages in employing former beneficiaries, whether on a full-time or part-time basis, to assist in the organisation’s programmes. Several Senior School of Excellence graduates, who remain in Nelson Mandela Bay to study or work, conduct weekly mentorship classes at different high schools to assist younger children in the programme to cope with the challenges of high school, as well as to offer academic tutoring after school. 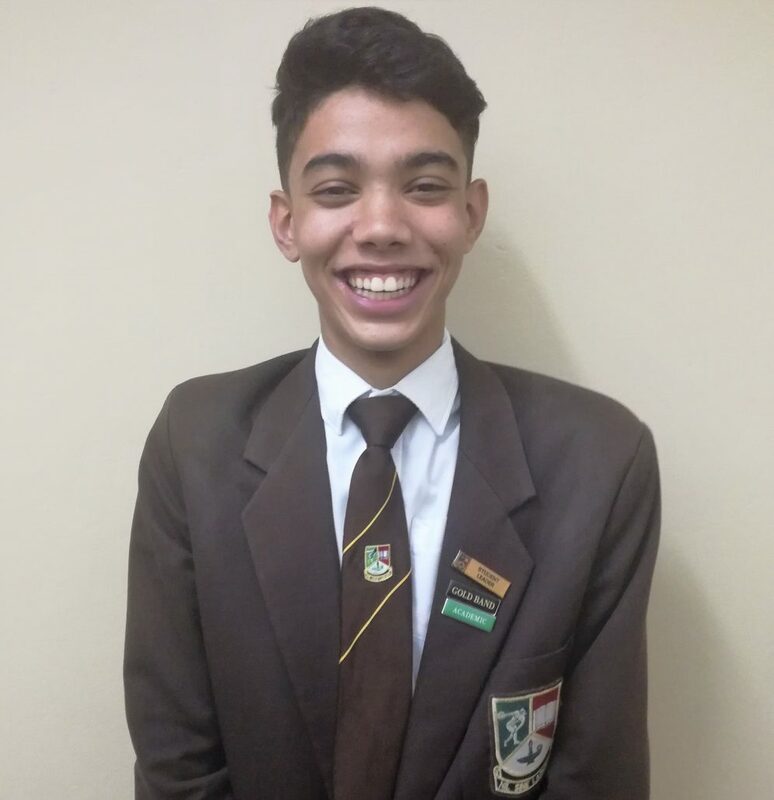 This is true in the case of Chadleigh Ownhouse, a Grade 12 learner from Alexander Road High School, who has for a second year in a row came in the top three of his age group at the annual Rhodes University Mathematics Experience (RUME). 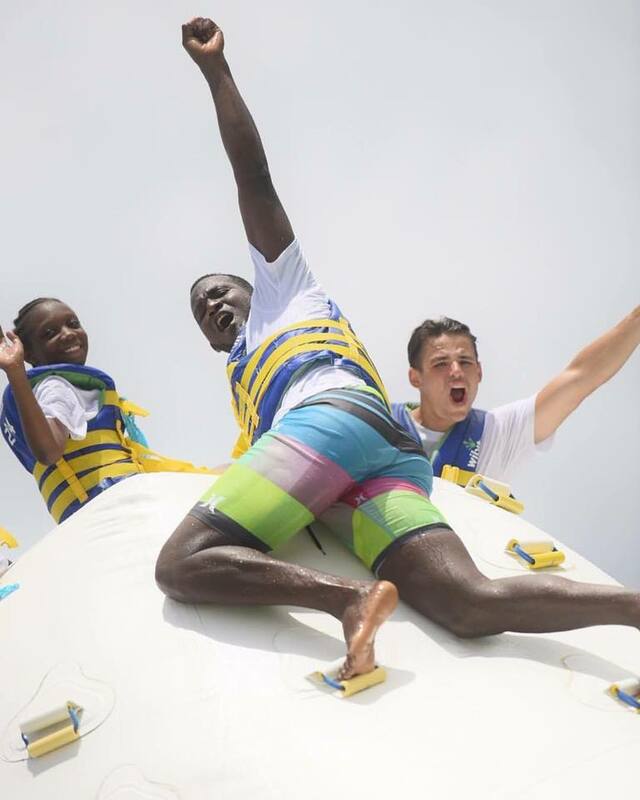 Chadleigh, 16, is a participant in United Through Sport’s Senior School of Excellence Programme and has been a beneficiary of United Through Sport’s programmes for the past five years. At the RUME, which was hosted in Grahamstown on February 16, he competed against representatives from around 30 other schools in the Eastern Cape. He recently heard that he scored second overall in the Grade 11 to 12 category after completing a mini-Olympiad (20-question maths competition) during the RUME. “Maths is actually very easy to me. It involves a lot of problem solving and creative thinking. You have to be innovative in the way you solve the problems,” Chadleigh, who lives in Bethelsdorp Extension 22, says. Chadleigh is no stranger to performing well at the RUME competition, as he last year came first in his age group during the mini-Olympiad. Combining the two years’ scholarship prizes, he has accumulated almost R100 000 worth of tertiary tuition scholarships for studying at Rhodes University in 2018. This gifted learner has not made up his mind yet on his future career aspirations but is leaning towards a BSc degree in Microbiology. He is also competing in the South African Maths Olympiad and enjoys Advanced Programme Mathematics as a seventh subject. His parents, Andrea and Neil, motivate him to always do his best and are very proud of his most recent achievements. When he is not studying, he enjoys playing tennis, squash and chess. 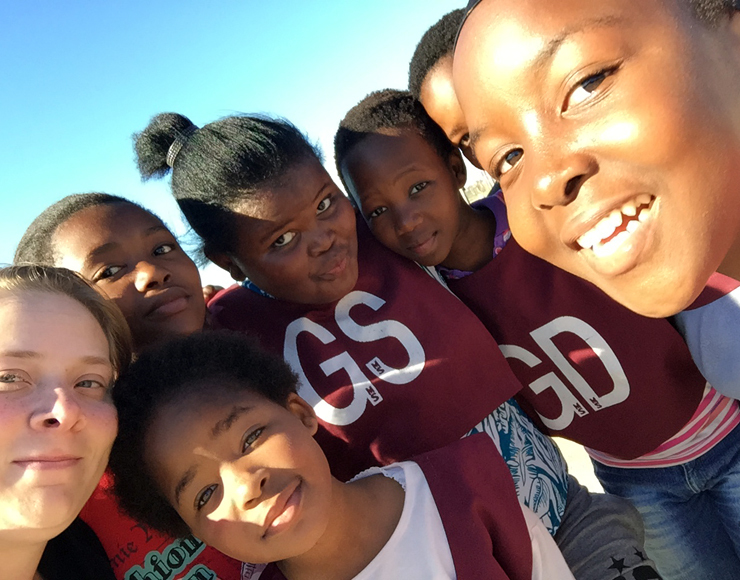 From playing ball to studying to become a medical doctor – one South African girl’s life has been transformed through the power of sport. Bronwyn White, a United Through Sport Senior School of Excellence beneficiary, achieved her final year 2017 National Senior Certificate with no less than four distinctions. She has been accepted to study Medicine at the University of Cape Town in 2018. 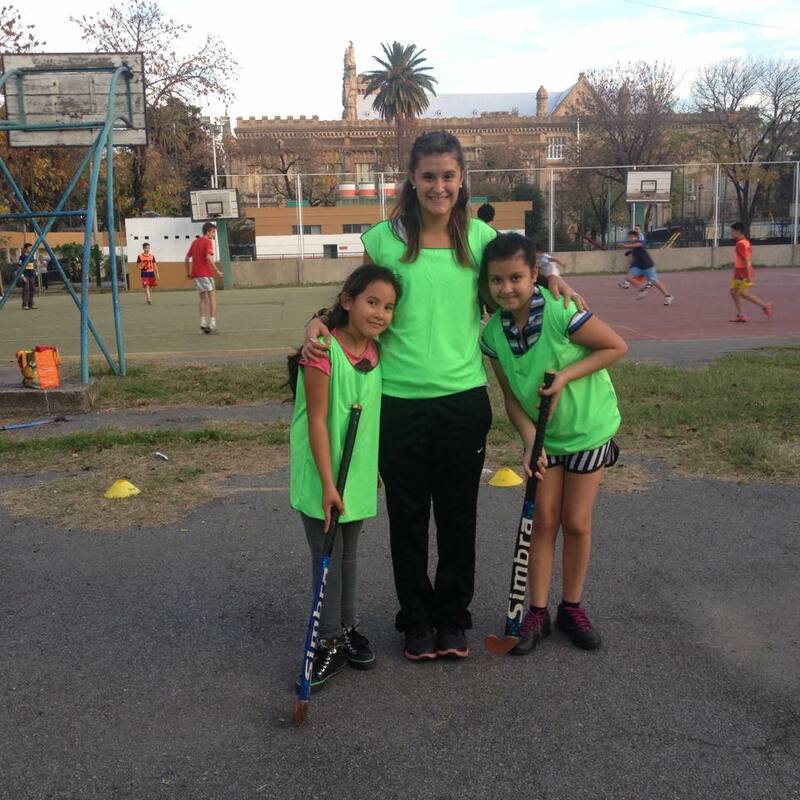 “United Through Sport gave me such an amazing opportunity, allowing me to attend a school such as Pearson. I feel like I have grown much more and have been exposed to many more opportunities and people thanks to UTS. The fact that they also saw me as a deserving candidate for the bursary inspired confidence in me that I never previously had,” said an elated Bronwyn. 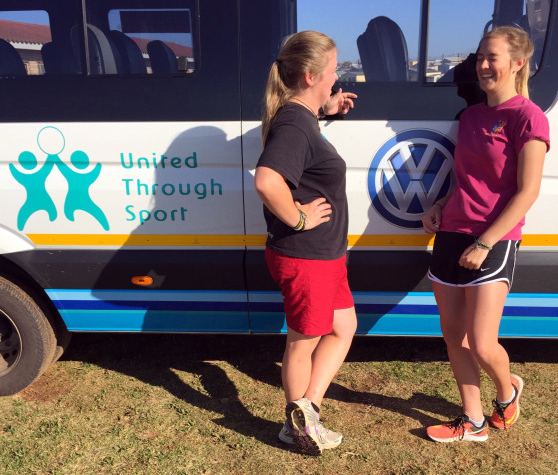 Bronwyn is one of nine beneficiaries from the United Through Sport Senior School of Excellence Programme in South Africa who have all achieved their 2017 National Senior Certificates. They have chosen diverse career paths, from studying Photography to Accounting, at various tertiary institutions across the country. The UTS Senior School of Excellence Programme, which is based in Nelson Mandela Bay, is focused on providing talented and determined children with a top level academic education for a full five years – with the final aim of further supporting them through tertiary studies. The Class of 2017 is the biggest group of beneficiaries that have passed through the programme in South Africa, according to United Through Sport Director Nick Mould. “Each one of our Grade 12’s is expected to pursue tertiary studies, many being the first in their families to do so. Compared to the national average, we are very pleased with our 100% pass rate and would like to wish all our beneficiaries well with their future endeavours,” said Mould. The Senior School of Excellence beneficiaries’ 100% pass rate is well above the 75.1% average pass rate in South Africa. The United Through Sport Senior School of Excellence Programme achieved a 78% university pass rate in 2017, compared to the national average of just 28%. Kaylin Fourie, another South African United Through Sport Senior School of Excellence 2017 top achiever, will be pursuing her dream of becoming a teacher through the University of Pretoria. “United Through Sport has been there for me since I was 11 years old, and they have been the main reason I have achieved my dream of being the first person in my family to go to University. This opportunity has really changed my life,” Kaylin said. The Caribbean Premier League (CPL) is back in town! 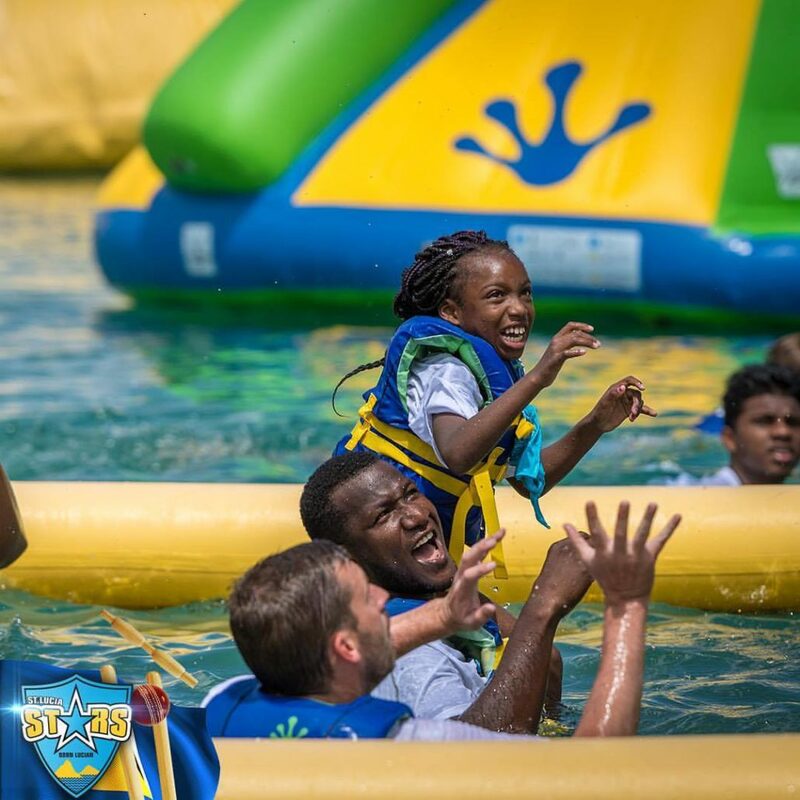 And although so far this season the Stars have not had the success they’d might had hoped for out in the middle, they certainly made an impact off the pitch this week. 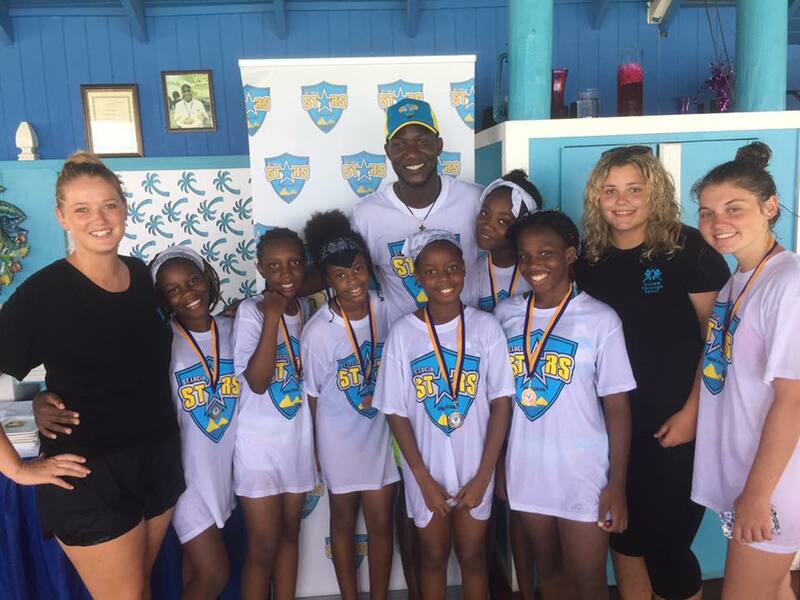 On Monday 14th The St. Lucia Stars, Bay Gardens Hotel and United Through Sport collaborated to host a Beach Olympics fun day for local underprivileged children to meet their cricketing heroes. 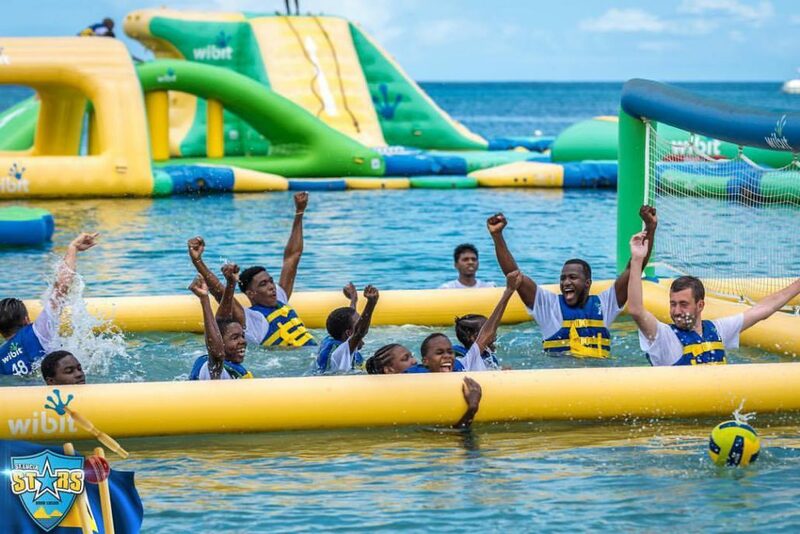 Hosted by Bay Gardens at their ‘Splash Island’ water park; St. Lucia Stars Captain Daren Sammy and team mates: Shane Shillingford, Eddie Leie, Obed McCoy and Kyle Mayers joined teams comprising of children from our La Clery and Vigie Summer Camps programmes and UTS volunteers, as they competed in volleyball matches and time trials on the inflatable assault course. The competition was hard fought with great leadership, teamwork and bravery on display throughout. 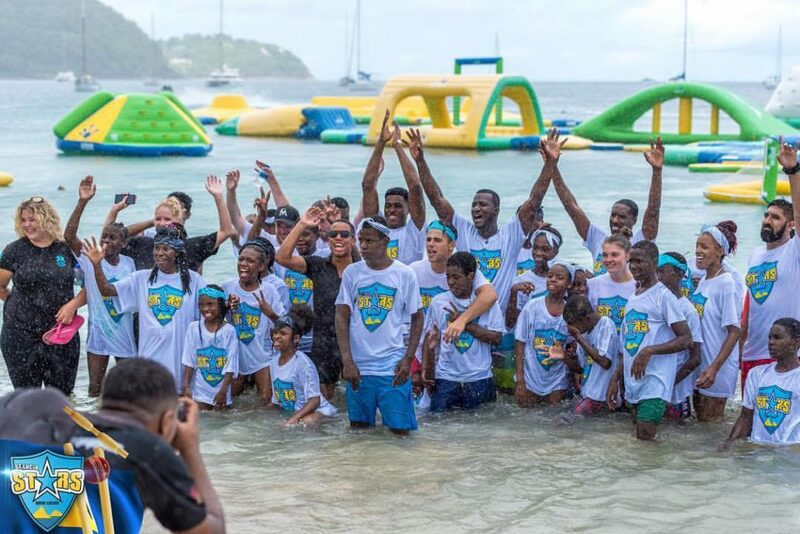 It was also the perfect chance for our children to utilise their newly learnt swim skills from the ongoing Summer Camp swim lessons. An award ceremony and lunch buffet followed, hosted by Bay gardens in their beach side restaurant. 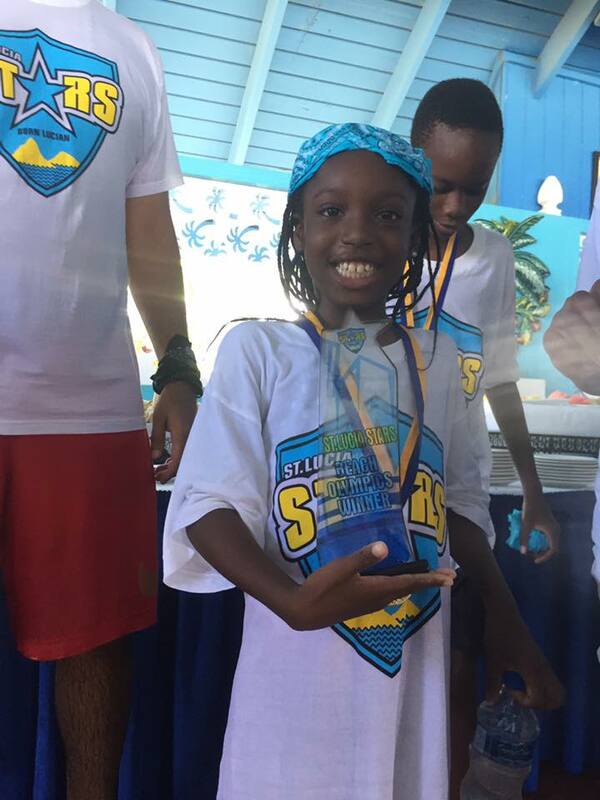 Prizes included: St. Lucia Stars Tee-shirts and Match for tickets St. Lucia versus Jamaica Tallawahs for everyone who competed. 1st prize included free lunch for the team and their captains for the following week courtesy of the Bay Gardens Hotel. It was a great experience for all the children involved and is sure to prove one of the highlights of their summer holidays. Tyler and Spakes, two United Through Sport staff members, recently came back from a two week trip to Germany supported by funder Go Ahead! This German organisation finances the holiday programmes that UTS runs four times a year during the school breaks. The trip to Germany saw 8 South Africans doing a 5 city tour in the “Blickwechsel” (meaning ‘Change of View’) campaign that put a twist to the normal Global North to Global South perspective by inviting partners from Southern Africa to Europe. Participating in the trip were representatives from four organisations that Go Ahead! supports in South Africa. This was an opportunity for the partner organisations to learn more about Go Ahead! as well as the members of Go Ahead! to physically meet the implementing partners and get more insight into the different programmes and the work done in South Africa. In each city visited, there were structured activities for the touring group and a lot of social opportunities to mingle with the local members, which were mostly University students. As the organisation with the most experience in volunteerism, Spakes and Tyler were heavily involved in school workshops in Heidelberg about the topic, highlighting the benefits of volunteering to the individual, the impact on the receiving in-country organisation as well as the importance of the sending organisation in facilitating and preparing for the volunteer experience. Other activities of the educational tour included panel and round table discussions on topics such as the education systems in South Africa and Germany, the stigma of HIV/AIDS in South Africa and discussing movie screenings related to volunteerism. The organisation Go Ahead! Celebrated 10 years of existence and there was a big party in Berlin, halfway through the tour, with everybody enjoying “Mzansi” music hits and doing the newly learnt South African dances. Culturally, there was quite a good exchange as the South Africans tried out the local cuisine of Bavaria and the Germans were practising the clicks in the local South African languages. On arrival in Erfurt, the group was invited to give a cultural presentation of South Africa; Tyler & Spakes were amongst the three that were leading this presentation. The tour was arranged in a way that in some cities, the group stayed in youth hostels but in other cities they stayed with the university students, which had a further positive impact on the culture exchange. Having such a good balance between the tour programme work and the social aspect, the two UTS members represented and presented the organisation well, and gave a lot of energy and effort in everything to strengthen the relationship with Go Ahead! Spakes and Tyler had an amazing time in Germany and appreciated the historic buildings, the structured and disciplined ways of the Germans but of course missed the sunny weather back home. 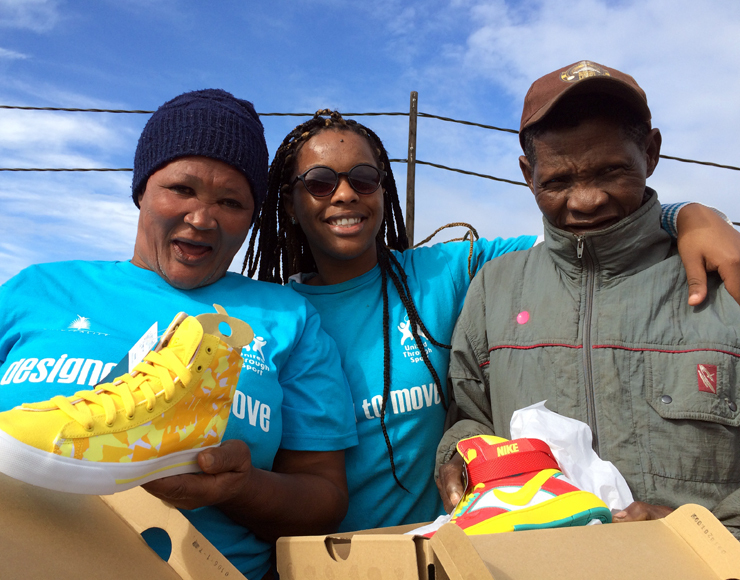 In partnership with the Nelson Mandela Bay Municipality (NMBM), United Through Sport (UTS) implemented a series of community-based projects in the period of June-July 2015 to increase physical activity in the communities of Nelson Mandela Bay. 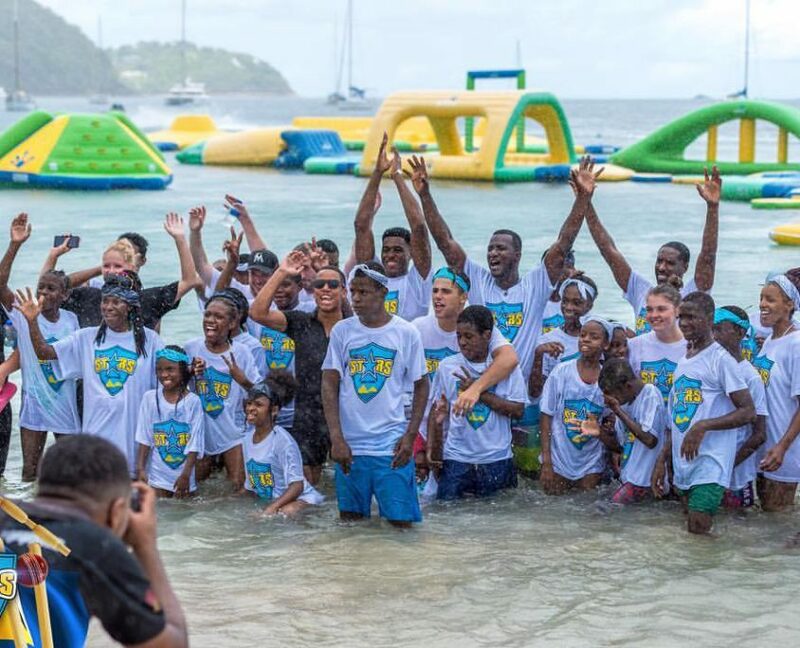 These events were to encourage the residents of the Bay to lead a healthier lifestyle as well as to bring activities to the idle youth during the long school break. Over the winter school holiday, UTS conducted these projects in the form of three Community Walks and two Holiday Programmes in and around the Bay, where a total of 1589 participants took part in the various events. This physical activity plan formed part of the Designed to Move campaign which highlights the importance of being physically active. As there are a lot of risks, conditions and diseases associated with physical inactivity, such as depression, heart disease and strokes, it was important to raise awareness around this. It is also important to inform the young children that they could pro long and improve the quality of their lives and brain power by taking part in physical activities. 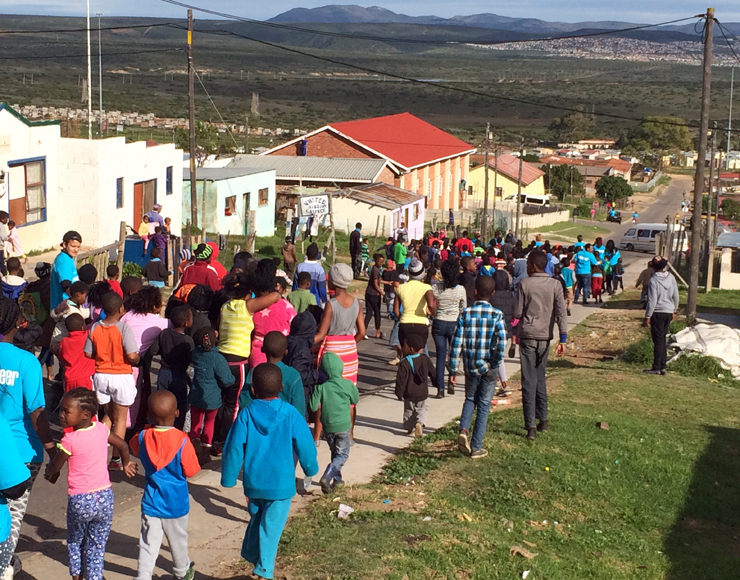 The Community Walks were 2km routes in the townships and catered for everyone in the community; the young and the old. Each walk started off with a brief aerobics warm up session, especially considering how cold it was in the early mornings. At the end of the walks and after the cooling down exercises, there were challenges and competitions done to showcase ways of doing fun and free physical activities. These included a skipping rope and hoola-hoop challenges and dance competitions. Prizes were awarded to the challenge participants and competition winners, as well as our oldest and youngest walkers. All the communities warmly appreciated having such events in their township, as they rarely have the chance to participate in these kinds of opportunities in their remote area. The youngest participants were still learning how to walk and the eldest walkers were in their 70s. The different elements incorporated in the Holiday Programmes were life-skills, role plays, sport, general knowledge quizzes, indigenous games as well as arts & crafts. UTS also included some of their own beneficiaries from the Senior School of Excellence to work as volunteers at the holiday camps. The older and more mature beneficiaries assisted as peer leaders to the participants. At the end of the camps, these youngsters felt really good about being involved in such an initiative, and being able to be of service to other children. It was a good opportunity to develop their leadership skills and to take responsibility for developing younger children from their communities. 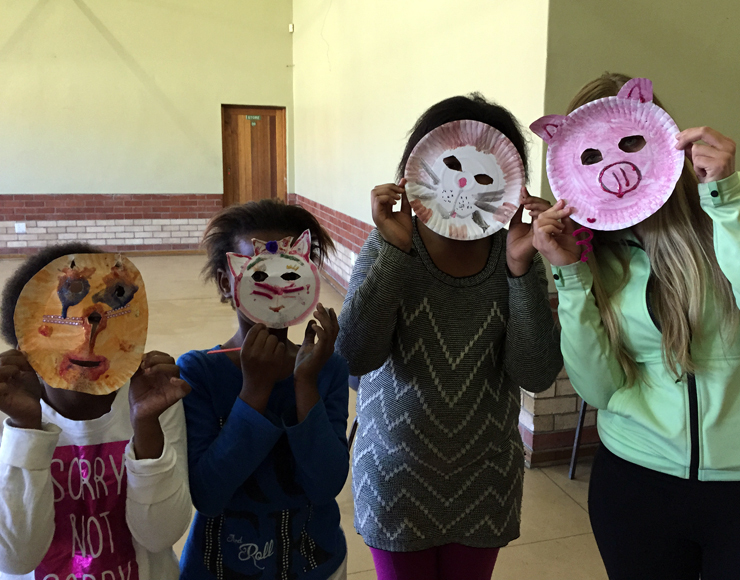 The older children participated in life-skills which focused on HIV and AIDS awareness. The different fun and interactive games in these sessions taught the children about the importance of decisions they make and the consequences which follow, the myths and truths on identifying someone who is HIV positive, how to minimize the risks of being infected and how HIV is spread. The younger children spent a lot of time in the arts & crafts sessions, where they did face painting, paper masks, storytelling and such age appropriate activities. 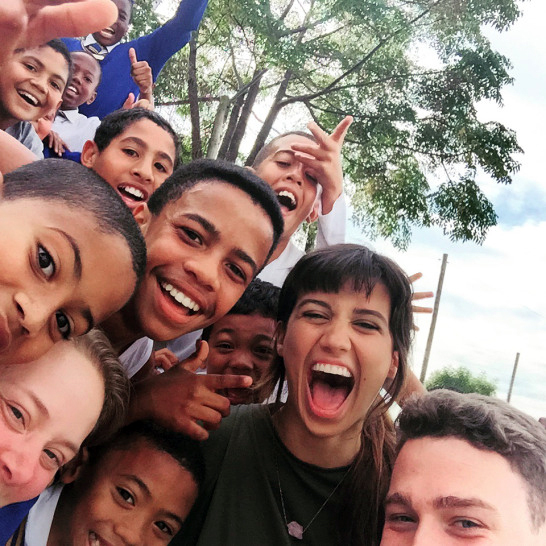 On the sport aspects, the girls and boys took part in netball and soccer where they were coached by the UTS international volunteers. On the last day of the holiday programme, they played against each other, as well as an indigenous games tournament. 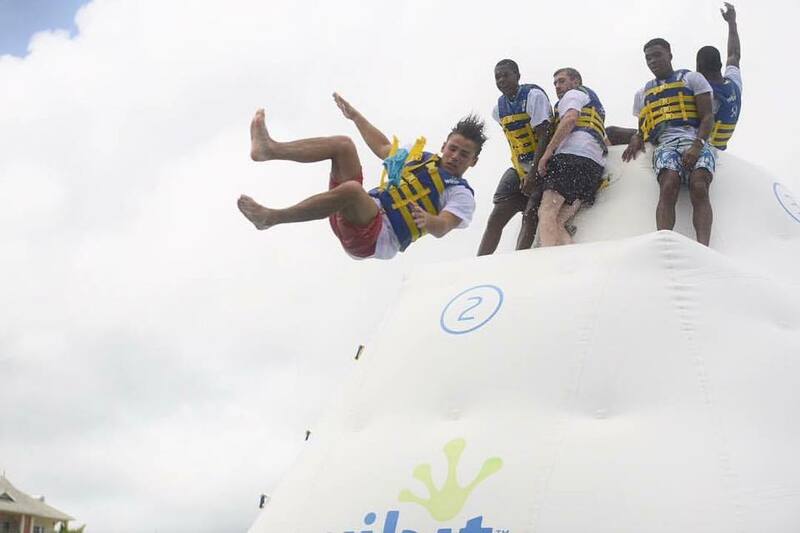 The winter holiday programme was a great success in enabling us to take key aspects of our ongoing programmes to communities that wouldn’t otherwise benefit. Being a development through sport organization; it is great to be working in partnership with the municipality to encourage healthier lifestyles in our communities. “We never really think about the dangers of living an inactive life, yet there is so much we can do every day to avoid many diseases; we just need to move a little more every day.” Sonwabo Jacobs, Colchester Community Member, 45 years old. We are celebrating a decade of work in South Africa. Our first operation began ten years ago in Port Elizabeth. In that time we have established a great network of schools in which to use sport as a tool for development. We have permanently changed lives for the better in the impoverished areas in which we work. 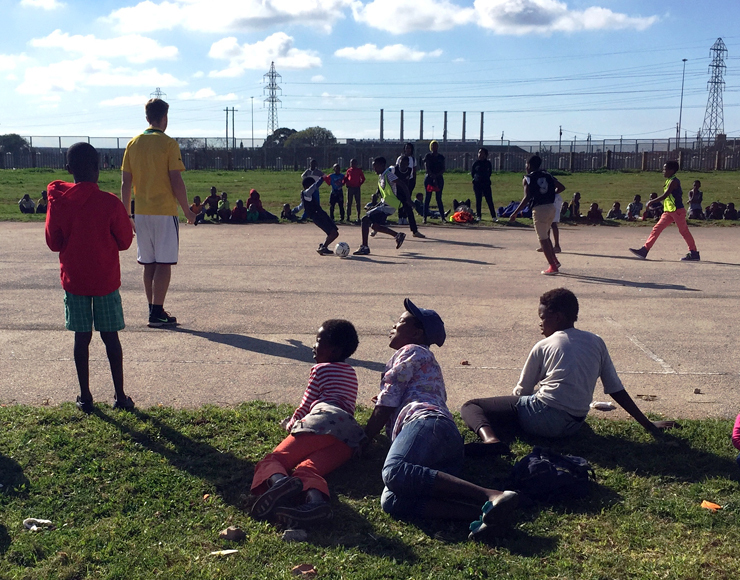 Through our Mass Participation Programme (MPP) we have used sport as way to effectively tackle critical issues such as HIV and Aids, a major threat to kids growing up in townships. The MPP has also shown us which children show the correct attitude and level of promise in order to attend our Junior and Senior Schools of Excellence, where we have had great success. So much so, that our first year of grade 12’s all graduated to University. With a solid infrastructure and a dedicated team in charge of operations, we aren’t letting up any time soon. Congratulations to all involved. Watch our video and hear from Nick Mould, one of the United Through Sport founders, explain more. 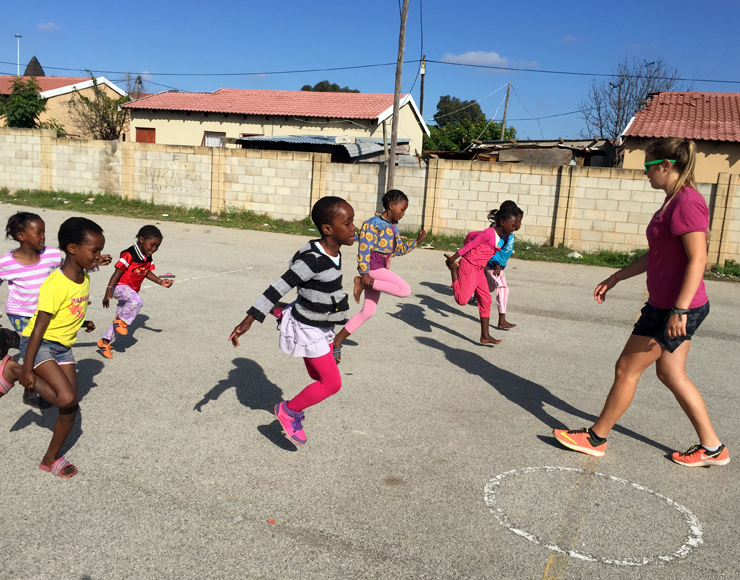 Jeanette Morelan is a United Through Sport volunteer who has been teaching on our project in South Africa. 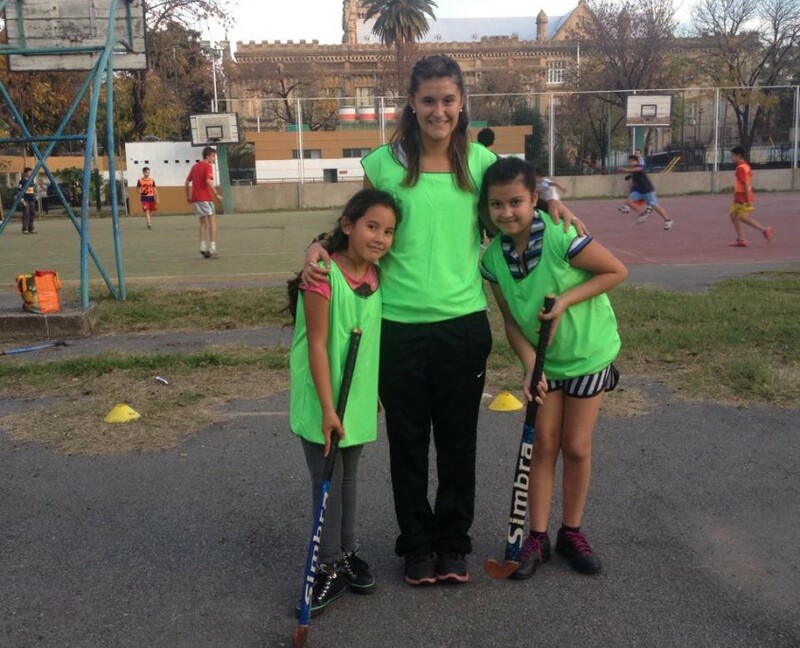 She also keeps a blog, “The Blessed Life”, in which she has recently written about a day in the life of a UTS coach. Here’s what happened. J: Why did you decide to volunteer with United Through Sport? 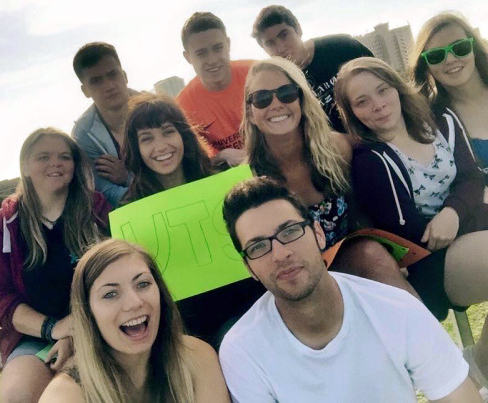 I decided to volunteer at UTS because I fully believe in their goals and wanted them to help reach them at 100%. 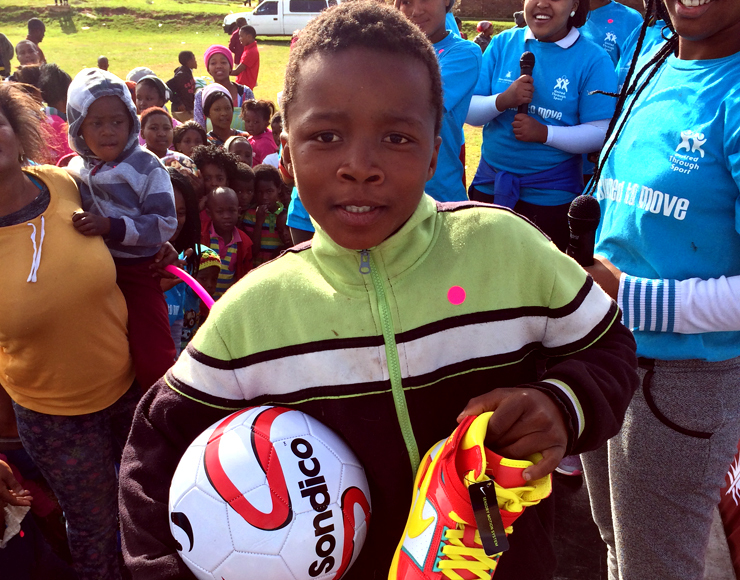 By placing children in the townships in the center of the attention, United Through Sport is taking care of the future of South Africa. —Julian S.
I’ve always wanted to do sport-related volunteering, and United Through Sport really stood out to me. After seeing a video and some photos of the kids that UTS was working with, it sounded incredible and described everything I wanted to do as a volunteer. —Jess T.
J: Describe a typical day of coaching. Coaches go to 3 schools a day and do 14 schools in a week. When we arrive the children are already waiting to grab the equipment and take it to the different sports areas. Every school is different, so even though we plan our sessions beforehand we have to be able to adapt to circumstances such as playing conditions and ability and their capacity to speak English. Every coaching session is really different! Traveling from different schools can be tiring, but we always give 110% as the kids want to learn and enjoy the sessions. As coaches we discuss afterwards what can be improved and our experiences so we can be more prepared for the next week. It’s a busy day, but we really enjoy it and love getting to have different experiences and meeting different kids. —Jess T.
Shower, eat, coach, eat, sleep, eat, sleep, repeat. —Robbie M.
I wake up around 8:30am to have a shower. At 8:45 I’ll have a simple breakfast, just a simple toast with cheddar cheese. After the breakfast we usually have about a hour left to relax/chill and I use this time to contact my family and friends in Holland. During a coaching day, we coach 3 primary schools. Normally it depends on the school which results you’ll reach. At some schools you are able to really improve the skills of the kids, sometimes it’s just a victory keeping them all in one place! After finishing the coaching sessions we go back to the UTS accommodation where we can fill in the rest of the day after dinner at 5:30pm. We have a lot of fun visiting different places in Port Elizabeth or playing pool or table tennis back at the house. At the end of the day I feel really happy that I can sleep and repeat this for five times in the week. —Julian S.
J: What’s your favorite part about being a coach? 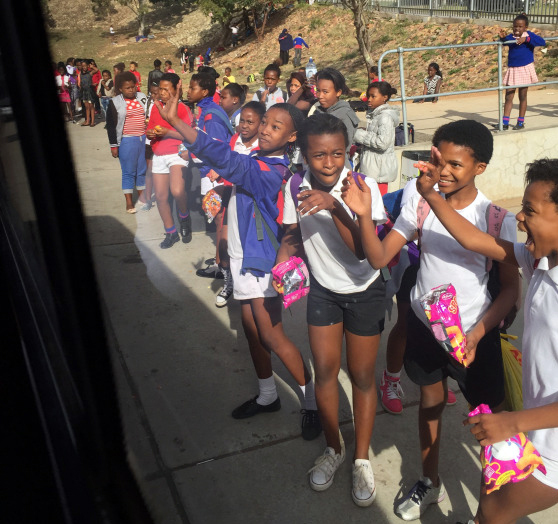 I love the excitement on the kids faces as the UTS bus pulls into each of the schools. They all love the coaching sessions, and are so excited to see you each week. I’ve been surprised at how quickly I’ve become so attached to all the kids we coach, and was genuinely gutted to have to say goodbye at the end of 10 weeks. The amount some of them have improved week on week is unbelievable which is so great to see. —Jo B. The enormous satisfaction that the kids show by smiling, hugging you as a coach before, during and after a coaching session just because you took the time to be with them. Also when kids make really big improvements. When you can spot some great results it makes it one of the best jobs in the world! —Julian S.
What are some of the challenges associated with coaching? Coaching different numbers of kids on sometimes bad pitches (fields) with little equipment. —Lukas S.
I would say that the most difficult, and challenging, part of being a coach was keeping the kids under control and listening to my instructions. Whilst it was very frustrating, I found that this provided a good learning experience for myself as an individual. —Felix M.
The biggest challenge is to realize that some kids are already too much influenced by their environment to realize how important education and sports are. 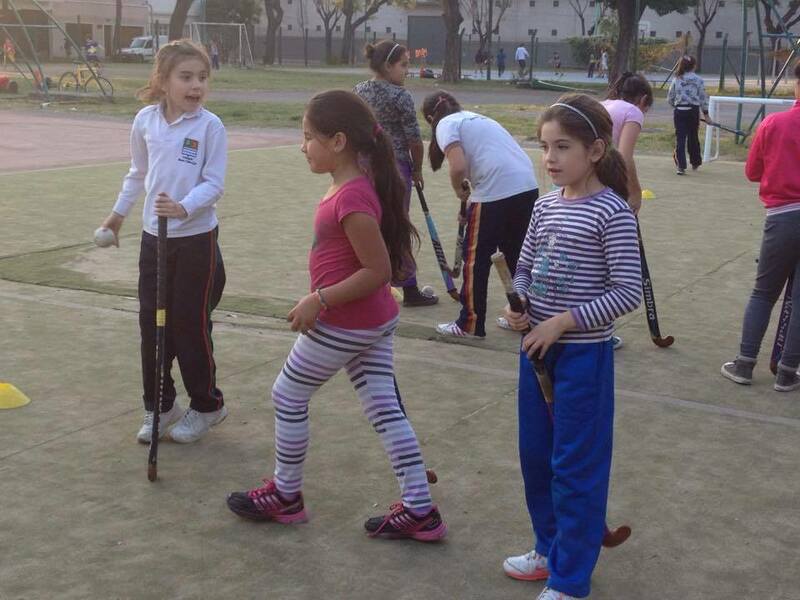 Sport creates on its own a great opportunity for people to develop themselves and to create a better future. Sometimes this is hard to communicate for kids that have never been taught the value of sports or education. It’s hard sometimes to try and convince them to leave their current ideas and way of living. —Julian S.
How do you think that United Through Sport is making an impact? We can see the positive difference that it makes first hand on both kids’ ability to play sports and also their confidence and attitudes toward each other. When we recommend children to the Junior School of Excellence, we know that it could effect the course of their entire lives and we can see that they take the opportunity very seriously. 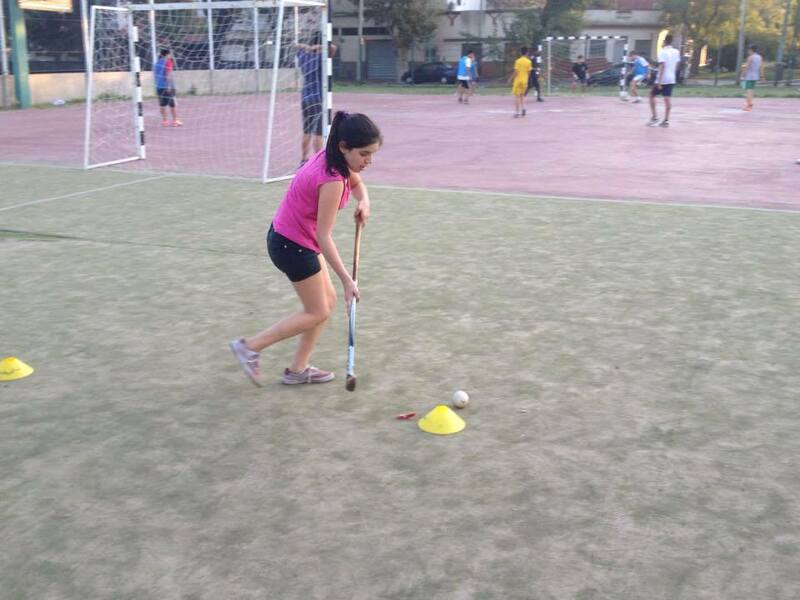 —Imi P.
United Through Sport makes a difference by brightening the days of hundreds of kids each week by bringing them together for some time of sports and fun. 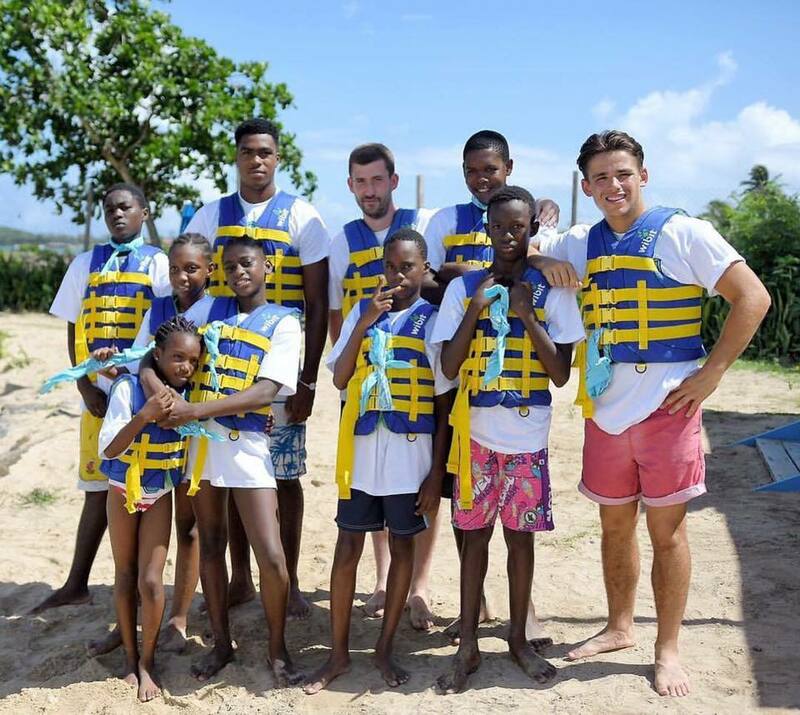 When they’re with us, they can leave all of their problems and issues that they might have at home and spend some time receiving mentoring and coaching that they would have never had before as well as enjoying time with their friends. —Chris B. What are some things that you have learned as a coach with United Through Sport? To not judge a person before you know their story. Sometimes you get really surprised about what these kids have to deal with. I expect that if we as people from first world countries had to deal with their circumstances we would probably behave the same. —Julian S.
I have learned more things about myself whilst here in South Africa than I have about the place and its inhabitants. I know now more about my personal limits and strengths, and that people will listen to me if I just use the right words. This experience has been the most valuable of my life so far and I will always treasure it. 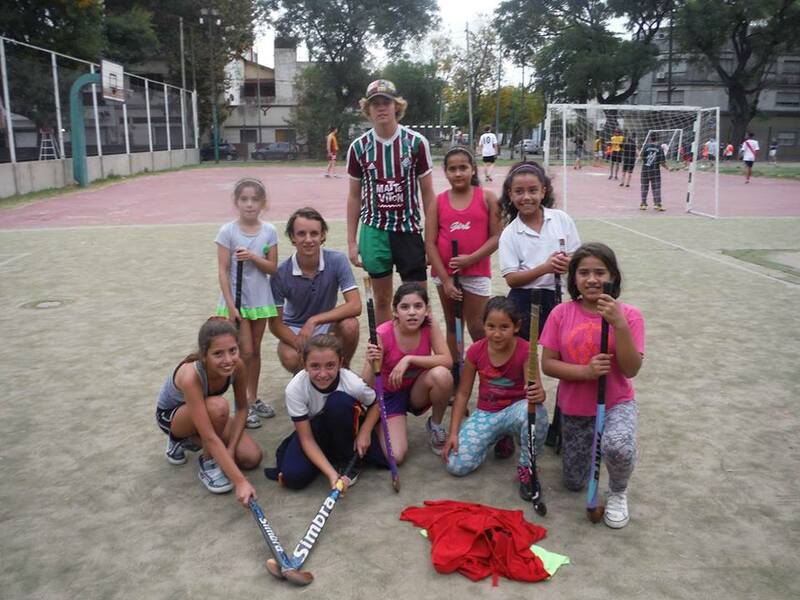 —Felix M.
March marked the beginning of the United Through Sport Girls Community Hockey Project in Park Pereyra, Buenos Aires. Since the project began, the number of participants has increased almost by the session. After the first couple of weeks, we were a little nervous about the low numbers of girls participating, but we needn’t have worried. 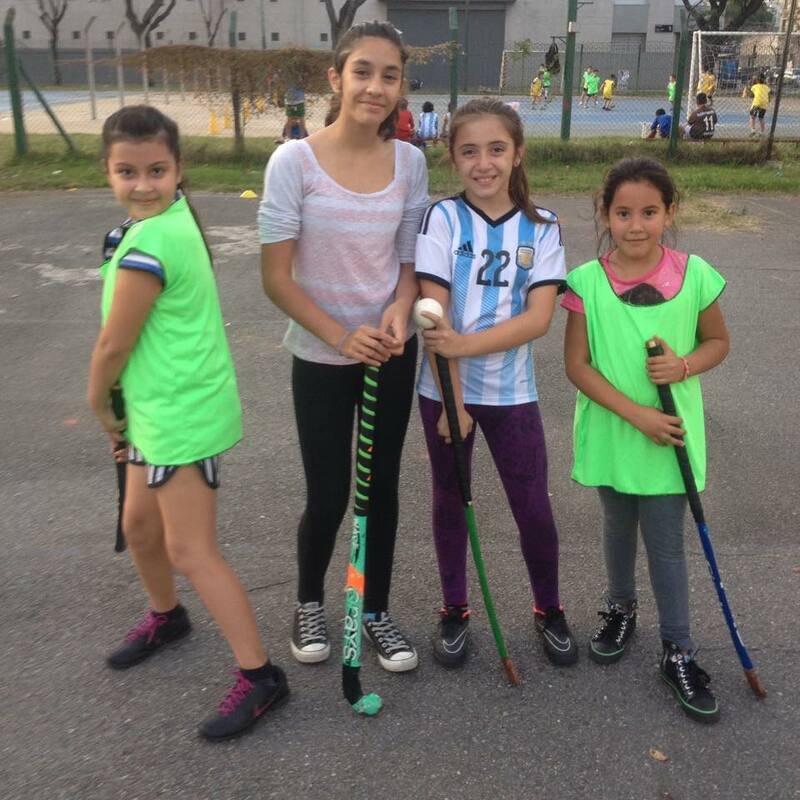 Those girls who began attending at the outset told the others in the neighbourhood how much fun they were having and how worthwhile the sessions were. Before long, numbers started to increase. Having been running this project for over two months, we are happy to report that this project now reaches over thirty girls aged between seven and fourteen . A huge thank you must go out to all the volunteers who made this possible and we hope to have many more who want to participle in this project that continues to grow every week.